Several groups at UC Merced host graduation events that allow students and their family members and friends to celebrate their graduation while commemorating diversity. Commencement is one of the biggest events – if not the biggest – in a student’s academic career. 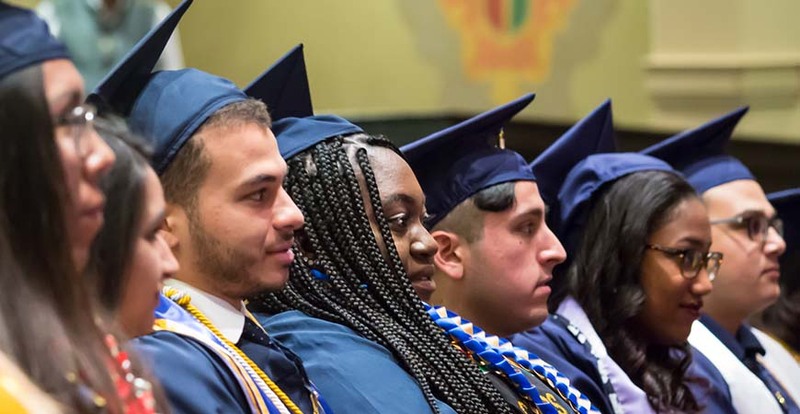 It’s a time-honored tradition that recognizes students’ scholarly achievements and marks the beginning of the next phase of their academic and professional journeys. At UC Merced, several groups also host cultural celebrations to honor grads. These events complement the campus’s traditional commencement by lauding students’ accomplishments and their identities. They also offer opportunities for students and their family members and friends to celebrate this significant milestone while commemorating UC Merced’s rich diversity. The following events are scheduled. Registration is required for students to participate. Registration deadline is midnight, Thursday, April 26. Sign up here . For more information, contact Program Coordinator Ariana Mora Mero . Guests who would like to attend must RSVP by Sunday, April 29 . For more information, email Lambda Alliance . For more information, contact Alex Delgadillo . For more information, email the Pilipino American Alliance .